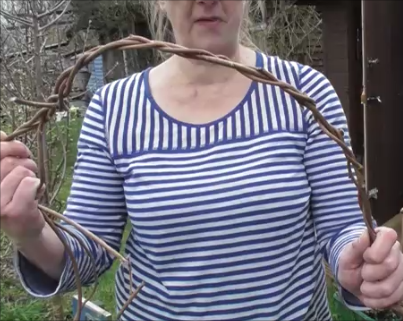 Home / Vlog / Vivi’s Kitchen Garden 86: Grass paths, group efforts and grapevine recycling. Vivi’s Kitchen Garden 86: Grass paths, group efforts and grapevine recycling. It’s time to give some attention to the grass paths – I love the first mow of the new season especially when I’m surrounded by fellow gardeners all pitching in to make our site a lovely place to be. Cake works well as an incentive. When all the communal work is done it’s time to play with ‘rubbish’ – in this case an old grapevine…. Previous post: In the Kitchen: Fassolada (Greek bean stew). Next post: Vivi’s Kitchen Garden 87: Sowing for winter and a few flowers for the pollinators.